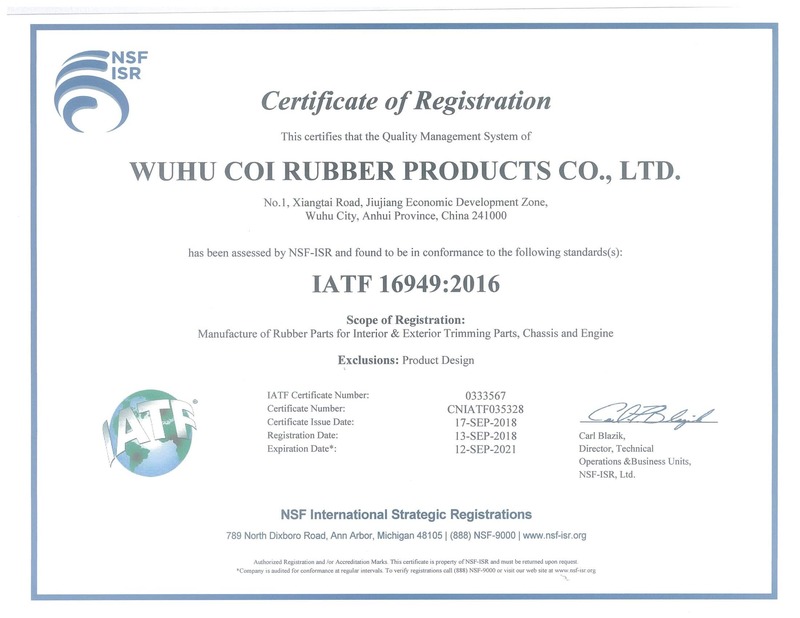 Coi Rubber Products has been serving the HVAC industry in many channels and supports the Air Movement and Control Association. Our TPVs can be found as damper blade seals, access door gaskets and condensate tubing. TPVs are an excellent choice for these applications because they are economical and they remain flexible in hot and cold temperature extremes, allowing them to maintain their sealing ability. TPV’s will not shrink or harden like PVC when exposed to long-term heat aging. Extruded profiles can be spliced endless to make ideal pipe seals. With our wide range of materials and the ability to create dual and tri-durometer extrusions, Coi Rubber can help you choose the correct materials for your application. We manufacture Vibration, Shock and Noise Control Products for Heating, Ventilation and Air Conditioning (HVAC), Industrial and Defense applications. Our most popular vibration and noise control products includes the below or read more on our experience.